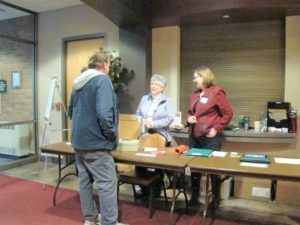 March Garden Day, Saturday, March 16, 2019, was attended by over 200 gardeners, speakers, vendors, members and volunteers. 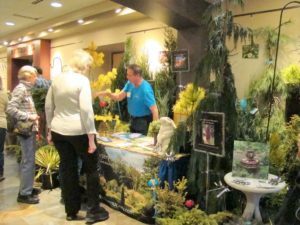 March Garden Day is a daylong seminar celebrating gardening in West Michigan, featuring speakers, vendor booths, a display garden and a silent auction. 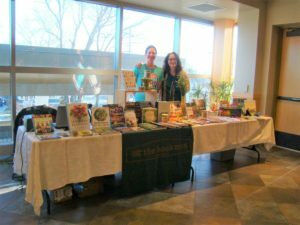 Profits from March Garden Day help support the WMNLA Scholarship Fund and Education Fund. 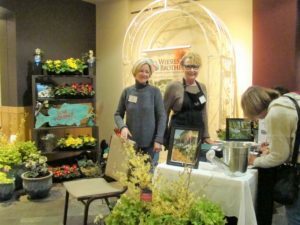 We would like to thank the March Garden Day Committee: Christina Hipshier, Allison Jesky, Scott Jacobs, Audrey Eaton, Reini Moser, Barb Balgoyen, Jude Hofman and Pam Cater. 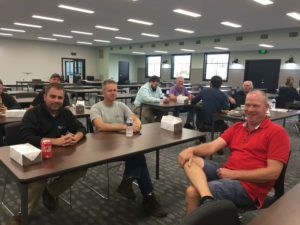 We would also like to acknowledge the board of directors: Keith Hogan, Allison Jesky, Scott Jacobs, Russ Hillman, Josh Roggenbuck and Christina Hipshier for their help moderating and leading breakout sessions, providing help with the silent auction, and set up and take down duties. Thanks to Scott Jacobs and Specialty Gardens for organizing the indoor landscape and silent raffle. 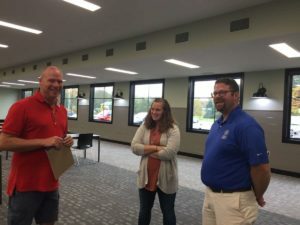 Thanks to Allison Jesky and Christina Hipshier for organizing the plant i.d. 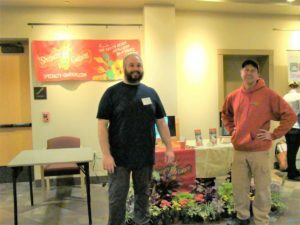 quiz and The Bookman for again providing a gardening book booth. 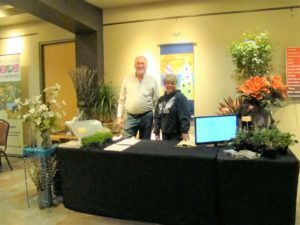 A great thanks to Hortech, Northland Farms, Rosebay Nursery, Evergreen Acres, Walters Gardens and Spring Meadow for providing plant material for the indoor landscape and silent raffle. Thank you to the many volunteers who helped keep everything running smoothly. 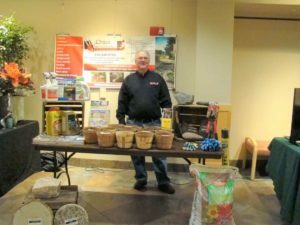 Members and friends who participated in the Expo included: Grand Haven Garden House, Weesies Brothers , Bartlett Tree, Chips, Jonkers Garden, Landscape Design Services, Specialty Gardens, MSU Extension and Ottawa County Parks. This is the third year March Garden Day was ‘green’. 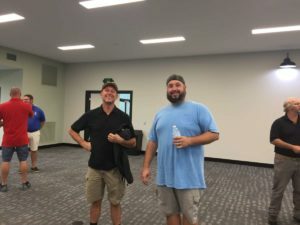 All paper, cups and food waste was biodegradable and composted by Spurt Industries. Water bottles were eliminated and replaced by compostable cups or personal water bottles. Walters Gardens staff will be presenting a talk about some of the things they do to ensure their customers receive the very best liners, as well as to ensure their company runs as smoothly and efficiently as possible.They will be highlighting ideas they’ve developed that might transfer to members businesses. Brand new technologies in our now-year old acclimation range such as dry fog humidity control and water booms with juhl light sensors. Note: new date, Tuesday, December 18th. 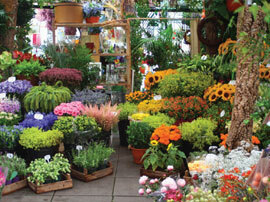 Are your customers interested in pollinator-friendly plants? Do they want your business to grow and maintain them with methods that are not harmful for pollinators? Attendees will learn about the challenges facing pollinators including bees and begin to understand that complexity of the topic. Participants will learn about planting perennial, tree, and shrub species that provide nectar for pollinators throughout the whole season. 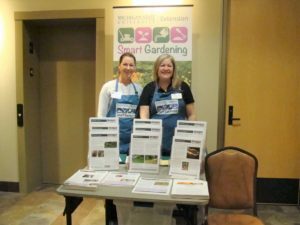 Plant growers will also learn about best management practices to protect pollinators in the landscape and some disease and insect-prone species to avoid planting in the landscape. 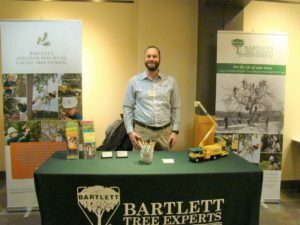 Finally, landscapers will learn how to certify their plantings an official “pollinator habitats” which may stimulate marketing opportunities. 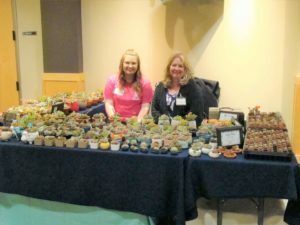 Heidi Lindberg is a greenhouse and nursery extension educator based in Ottawa County. 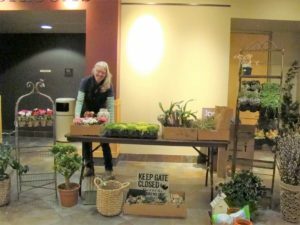 She serves greenhouses and nurseries in western Michigan including the large density of ornamental plant production in Allegan, Kent, Ottawa, and Muskegon counties. 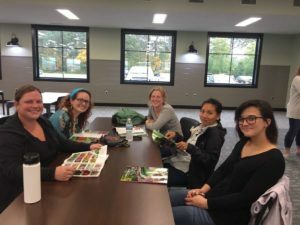 Her major program initiatives include: lighting for efficient production of greenhouse crops, increasing energy efficiency and sustainability, biological control in greenhouses, and marketing of ornamental plants. Bring 3,4th person eats free! Let us know you are coming so our hosts can prepare! 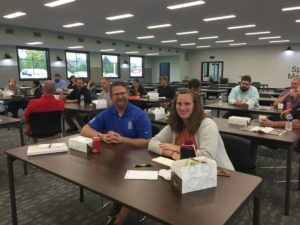 WMNLA member businesses & staff are welcomed! Spring Meadow Nursery hosted WMNLA members, Wednesday, October 10th at Spring Meadow Nursery. 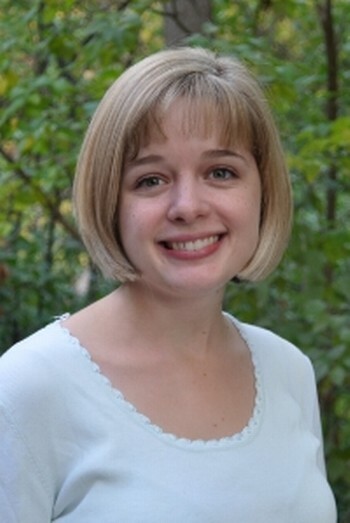 This message is from Allison Jesky, WMNLA President (jesky@hope.edu). 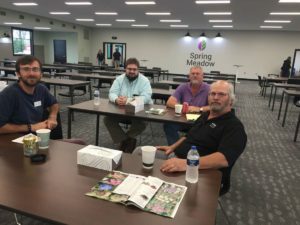 I would especially like to thank Spring Meadow Nursery for their kind hospitality, as they were our host for the lunch and seminar. 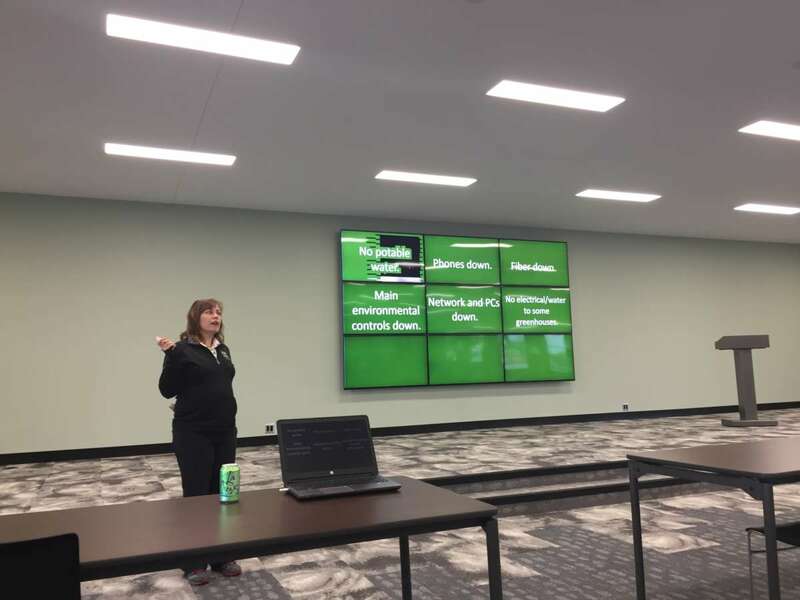 Jane Beggs-Joles gave an informative and thought-provoking presentation about the company’s experience of their office fire. Highlighting all the issues to be concerned about to withstand a crisis. The importance of preparation and how your reaction to a crisis is critical. Following the talk we took our show on the road. We were fortunate to have a tour of the trial gardens, (and a break in the rain), on the property of the Deppe’s home. It was such a delight to witness all the beauty and variety that is planted there. It proves the point that every season has something spectacular to showcase. 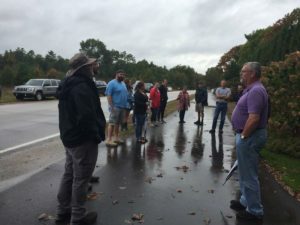 Wednesday, October 10, 2018 at Spring Meadow Nursery, 12601 120th Ave., Grand Haven, Mi.’ Disaster Planning and Tour of Trial Gardens ‘ presented by Jane Beggs-Joles, Proven Winner Color Choice, Landscape Program Development at Spring Meadow Nursery, 12601 120th Ave. Grand Haven, Mi. Lunch provided by Spring Meadow Nursery. 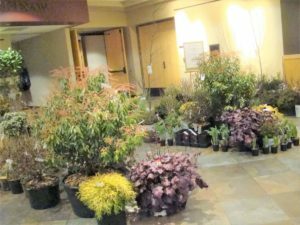 Wednesday, November 14, 2018 Heidi Lindberg, Nursery & Greenhouse Educator, Michigan State University at the Grand Haven Community Center, 421 Columbus, Grand Haven, Mi. 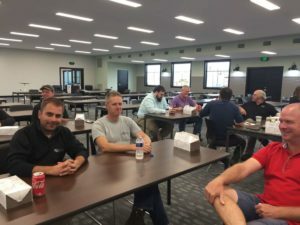 Wednesday, December 12, 2018 ‘Technology and Young Plant Production’ presented by Walters Gardens. At Walters Gardens, 1992 96th Ave., Zeeland, MI. Lunch provided by Walters Gardens. Wednesday, January 9, 2019 ‘Legislative Updates & the Impact of Marijuana on Your Green Industry Business’, Amy Frankmann, Executive Director, MNLA and Rebecca Park, Michigan Farm Bureau Legislative Counsel at Hope College, Maas Center, 264 Columbia, Holland, MI.